​It's no secret at this point that ​Tom Brady takes excellent care of his body. How else would he be able to perform at such a high level at age 41? But one thing that the ​TB12 Method hasn't done for Brady is bulk him up. According to Ian Rapoport of ​NFL Network, Brady may show up to the Patriots' facility later on this offseason with some extra muscle. Brady has been winning Super Bowls with a dad-bod for most of his career, so if he bulks up a bit for this season they might as well hand the Patriots their seventh Lombardi Trophy now. In Brady's case, he's likely adding some muscle to try and protect himself. At 41, his body won't be able to take the same type of punishment moving forward as it has in the past. Aside from having a solid offensive line in front of him, adding muscle may be his best bet to stay healthy for all 16 games. 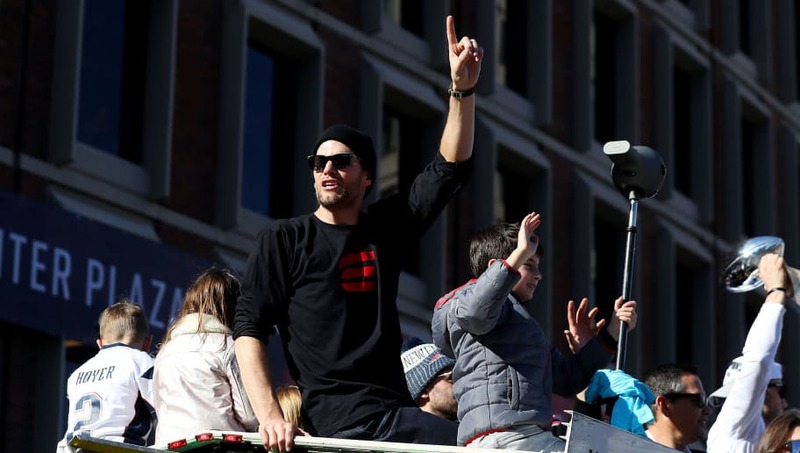 Most of the NFL is sick of watching the Patriots hoist the Lombardi at the end of the season. But Brady doesn't seem to think he and his team will be slowing down anytime soon.